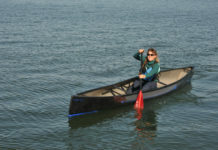 Once upon a time I started kayaking and embarked on an expedition through the Great Lakes. I’d just received three degrees and was paddling from my university on the northern tip of Superior to my hometown, 2,500 nautical miles to the southeast. My father was a huge supporter of the trip. He was a truck driver, a non-swimmer and a fisherman. He was not a paddler. And my father didn’t go past grade 12 in school. No serious kayaker would use it. It wouldn’t be kayaking. What did he know? Fast-forward 23 years to being married and shopping with my wife for a new family vehicle. I thought she should get another sporty five-speed stick shift. They’re fun to drive and offer more control on our snowy winter roads. What I hadn’t considered is the needs of others—standard transmission does not offer an easy way to drink coffee and accelerate through the gears. 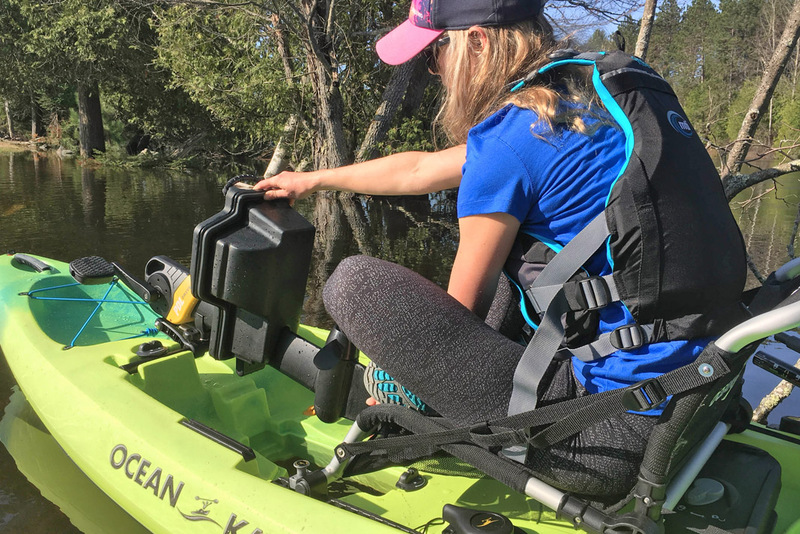 And so, with an open mind, I present my enlightened and humble review of the Ocean Kayak Malibu Pedal, a recreational kayak propelled with legs, leaving hands free to fish or drink morning coffee, or both. 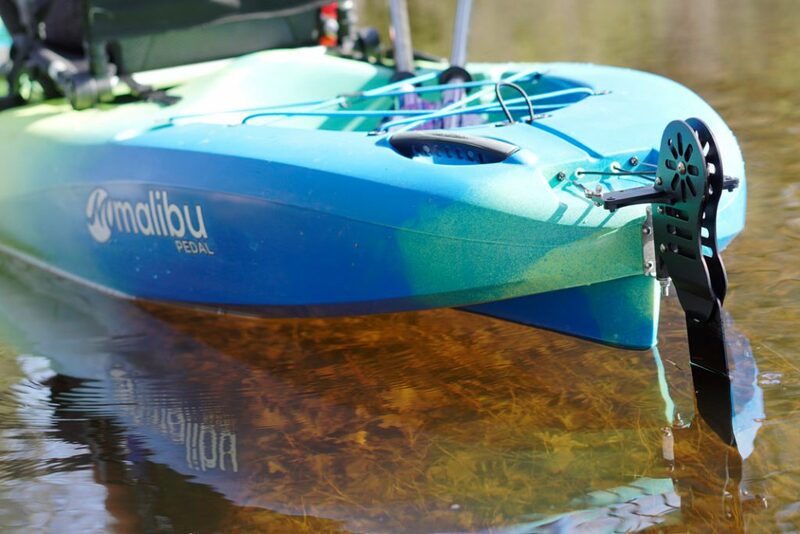 The Malibu Pedal is the first Ocean Kayak to offer a pedal drive but they started with the proven design borrowed from Old Town’s proven Predator PDL fishing kayak. 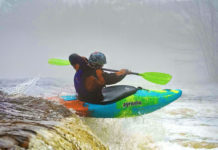 Ocean Kayak designers cut the overall size of the system to fit in the smaller, lighter Malibu Pedal. 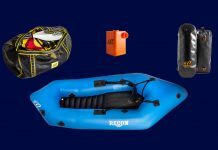 The 24-inch, one-piece shaft drops down through the hull where a 12-inch propeller pushes the boat either forward or reverse, depending on which way you spin the bicycle crank. The system is pretty much what my dad had scribbled on the inside flap of an empty cigarette pack he found on the dash of his pickup. They call it the Element Beach Seat but to give you an idea, picture a cut down church picnic aluminum lawn chair but with high-end deck furniture fabric. The seat has 13 clicks of fore and aft adjustment to get the leg length just right. 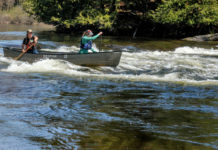 My 35-inch inseam had the seat about half way, and moving it forward for shorter testers didn’t seem to affect the trim of the boat in any significant way. The seat itself is easily tipped forward to access a storage area or removed completely for transport. On the right of the seat you’ll find a massive eight-inch lever connected below the deck to internal cords running to the stern so the rudder can be easily raised and lowered. Because your feet are busy spinning the pedals, pivoting of the rudder and steering of the kayak is done with a control knob on the left-hand side of the seat. So it’s not as hands-free as the brochure may indicate but it does allow you to drink coffee or fish with your right hand. Guess which side the integrated drink holder is on? On the right side, of course. Ocean Kayak has thought of everything. It’s sort of a tri-hull design that looks like a rippled potato chip. 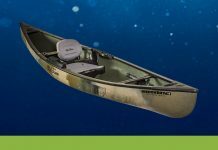 All the angles make for a very rigid boat and the volume on the outside ripples make the Malibu a wildly stable pontoon boat for standup sight fishing or to pop up the drive and standup paddle through shallow sections of river. And like all good sit-on-top kayaks, the Malibu has six scupper holes to allow rainwater or water crashed over the deck to run back out where it belongs. Short of 40 acres, or the Malibu’s 30-foot turning radius, it’s easiest to put the coffee cup down, grab the paddle from its clip, tilt as far as you can and throw in a few good sweep strokes. Or so says the kayaker in me. 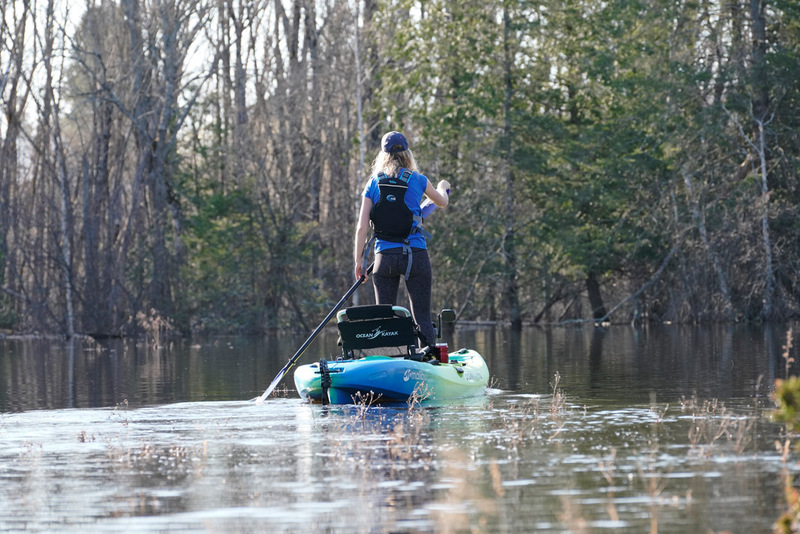 But compared to other pedal drive fishing kayaks, the 12-foot long Malibu turns tighter than most. I know my dad was right about the potential popularity of a pedal drive kayaks. I know I was right too; it’s not expedition kayakers who are going to be buying thousands of Malibu Pedals. I know my wife has an automatic Toyota 4Runner parked in our driveway. And I also know our Malibu at the Paddling Magazine office is the boat most often skidded into the river for early morning trips. Maybe it’s because it allows you to drink a coffee. More likely it’s because at that time of day when the sun is casting a golden light across the water, it’s not about kayaking for kayaking’s sake. It’s about just being on the water either to wet a line or raise a mug to celebrate the coming of a new day.